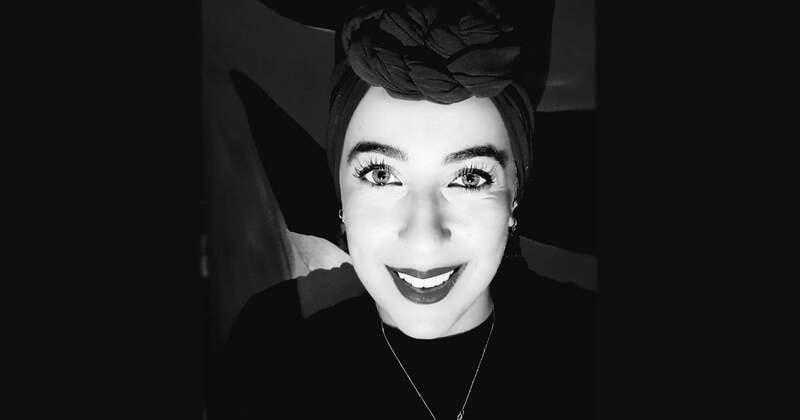 Sara Saleh is an Arab-Australian human rights and refugee advocate, grassroots activist and artist. My name is ethnically ‘ambiguous’, but it is actually a Hebrew name with British spelling that rolls off an Australian tongue worn by me, Sara – an Arab, Muslim woman. A name palatable to mainstream, never mispronounced in school roll call or misspelled paying a bill over the phone. I have never felt compelled to change it during a coffee order for fear of judgment or to appease someone. It’s a name that tells you more about me before I tell you about me. A name that speaks in a universal language that says to people: I am not a threat. But whatever name I have, whatever name you call me – the outcome seems to be the same. As Muslim women, we are constantly painted in a somewhat confused, but islamophobic light of threat and ‘model’ citizen, aggressor and victim, oppressor and oppressed. We are fetishized and hated and when we ‘succeed’ by neo-liberal societal standards – we are told it’s because we are ‘not like the others’. We are talked about, talked at… but rarely are we the ones talking, or being listened to. As Muslim women, our citizenship is conditional, aspects of our identity policed, our achievements sanitised, our activism silenced – at the best of times. All of this is tantamount to emotional and psychological abuse, a deprivation of dignity, and one needn’t look beyond our own backyard to see this play out. We have the mere illusion of freedom that purports to include us, only at the expense of our own overlaying identities and beliefs. Writing this in the wake of International Women’s Day, I acknowledge the privilege I have, which I actively choose to use to speak out, facilitate support and take action against injustice in what is a hostile environment for minority communities. For many Muslim women and women of colour, myself included, this moral obligation to fight injustice comes at a high cost. We are met with endless attempts to silence us, dismiss us, other us, demonise us, or erase us altogether. Whether this deliberate incitement comes from TV presenters, publicly elected officials, or members of the public, it repeatedly reinforces this country’s fundamentally flawed characteristic: we are built on colonisation and genocide, and we are seemingly OK with it. Whilst women continue to be verbally and physically harassed in public places, the vicious vitriol extends well into virtual spaces – one name for you: Yassmin Abdel-Magied. We are subject to a barrage of misogynistic cyber bullying by anonymous users who hide behind screens with no fear of retribution or accountability. Various human rights organisations like Amnesty International have highlighted the harmful impacts on women’s emotional wellbeing and sense of safety, others have classified it as a form of gender-based violence or violence against women. #ToxicTwitter features interviews with 86 women and non-gender binary individuals about their experiences with facing violence and abuse on Twitter, and the company’s response. Interviewees explained the silencing effect it has and the negative impact on their freedom of expression, the psychological impact of violence and abuse on the platform, and their frustration at Twitter’s poor response. This behaviour does not just come down to a single individual, and it won’t end until we have wider cultures of respect, equality, and a diverse representation that must be cultivated both offline and online. We need a culture that understands power disparities and addresses them. We need spaces that normalise our presence, instill safeguards for our mental health and well-being, and prioritise and elevate those who are particularly vulnerable – because freedom of speech doesn’t come freely to all. And, perhaps most importantly, we need help to do it. 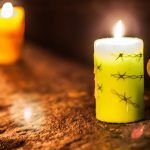 Solidarity and support: what can you do? I don’t have all the answers, but here are a few basics to being a good, intersectional ally. Follow the incredibly important work of dedicated activists, artists and organisations, such as Warriors of the Aboriginal Resistance (WAR), Tarneen Onus-Williams, Nayuka Gorrie, Nakkiah Lui, Celeste Liddle, Randa AbdelFattah, Hana Assafiri, Mehal Krayem, Ms Saffaa and Yassmin Abdel-Magied. No, you don’t always need to provide your two cents. It is OK to just listen. Get comfortable with being uncomfortable. Uncomfortable is necessary – it pushes things to change. When asked to speak at an event or participate in a panel, ask yourself if there is someone from that specific community, who is better equipped. Let us take the lead (online or otherwise) because ultimately, we speak for ourselves. Report trolls if you are in a position to do so, or address the topic at hand without detracting from our voices (like every other community, there is no single representative or dominant view but a plurality of opinions). If you are in a position to do so, create space, especially for those who are hardest to reach. Don’t indulge in tokenism – women of colour are not an afterthought or a KPI to be met. Don’t impose your own solutions on what needs to be said or done. Don’t expect us to be grateful or to make it “easy” for you – we put in enough emotional labour as it is building resilience in our own communities. Stand with women facing online abuse and ask CEO and Co-Founder, Jack Dorsey, to stop abuse of women on his social media platform.